Please save the date for a unique opportunity to explore Cuba by land and sea! The evening will feature samplings of authentic Cuban cuisine, refreshing mojitos featuring Papa’s Pilar™ rum, and live Cuban music. The program for the night will include: a presentation by Dr. David E. Guggenheim FN on the Club’s first Flag Expedition to Cuba’s magnificent Gardens of the Queen marine reserve; a chance to meet Michael Connors and hear about his upcoming book, Havana Modern, which highlights architecturally significant private homes and buildings in Cuba; and a photography display by Néstor Martí. A Taste of Cuba will be a cultural expedition not to be missed! Tickets are $45.00. Further information, including a detailed schedule of events, will be available shortly. 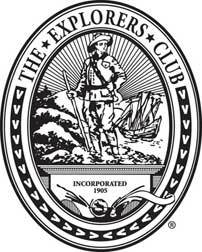 Secure your spot today by emailing [email protected] or calling The Explorers Club at 212.628.8383.